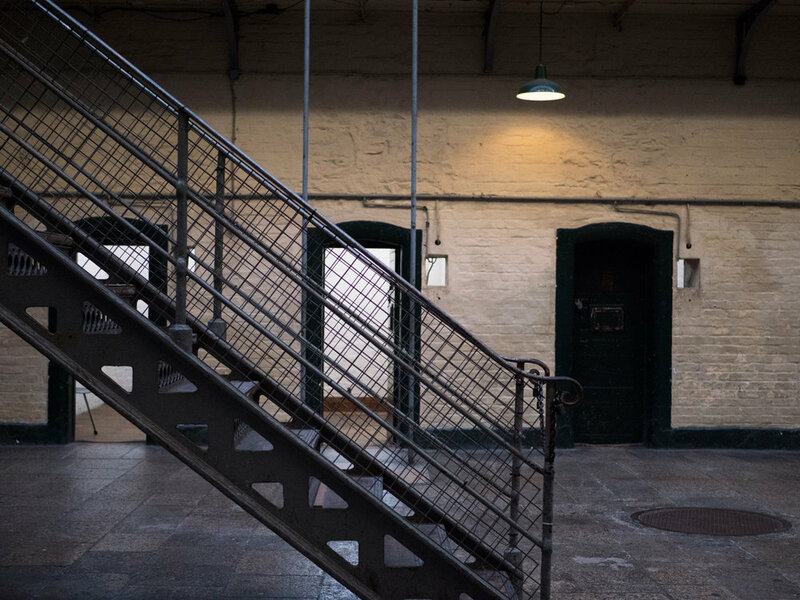 Recently we visited Kilmainham Gaol - one of the largest unoccupied gaols in Europe. 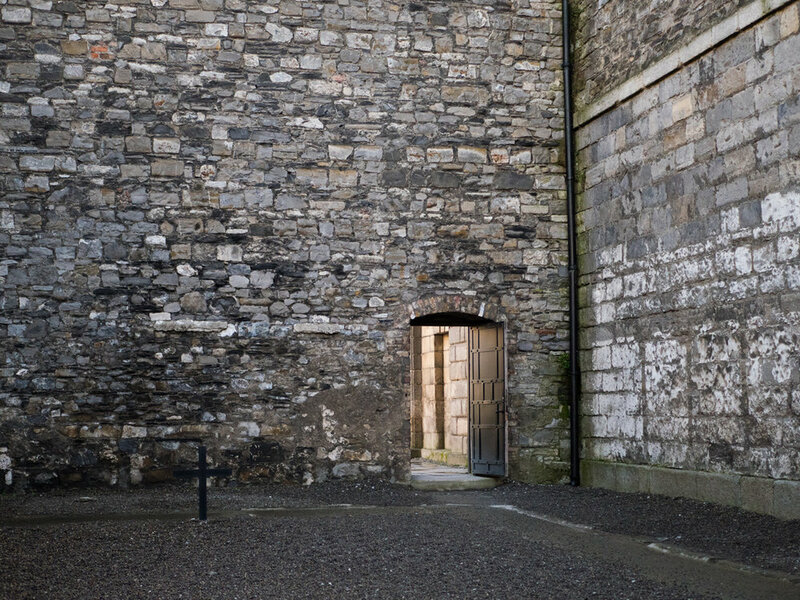 The Gaol is only accessible by guided tour, and no filming is allowed. But photographs are! So we can still share a bit of our trip. 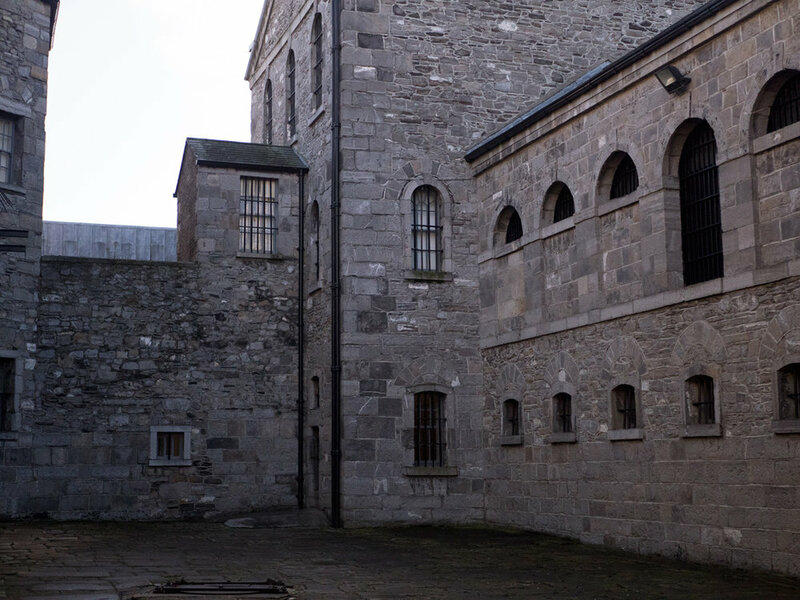 Kilmainham Gaol opened in 1796 as the new County Gaol for Dublin. It closed its doors in 1924. 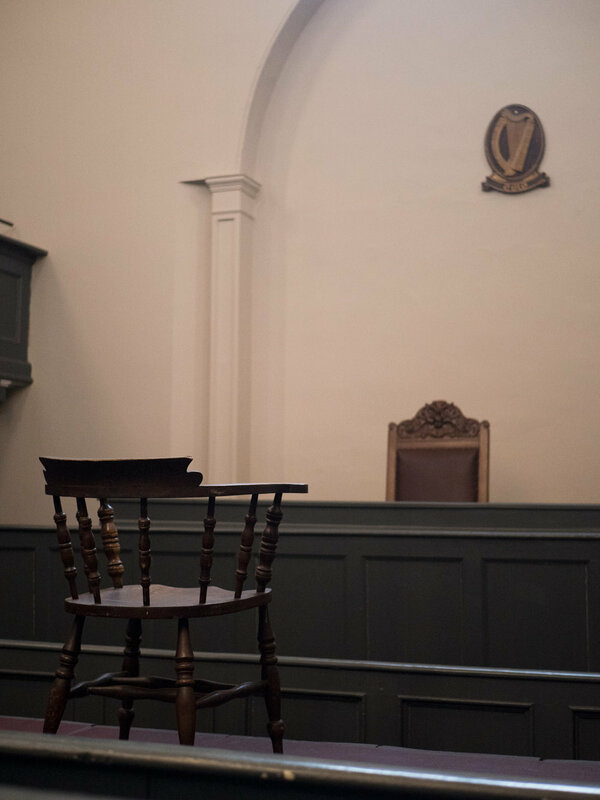 The opening and closing of the Gaol more or less coincided with the making and breaking of the Union between Great Britain and Ireland. 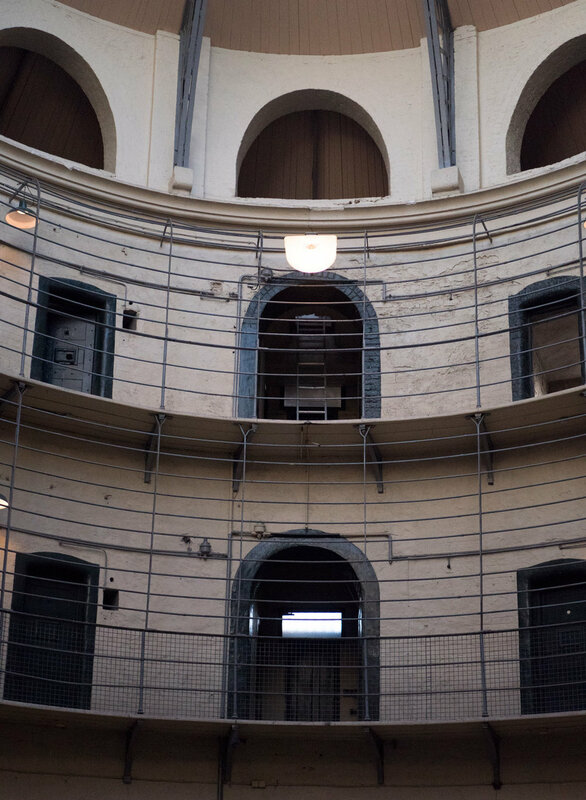 During the intervening years the Gaol functioned like a political seismograph, recording most of the significant tremors in the often turbulent relations between the two countries. At the epicentre of these relations lay the Irish aspiration to political independence, setting off shockwaves of varying force throughout the nineteenth century and reaching a climax in the years 1916-22. 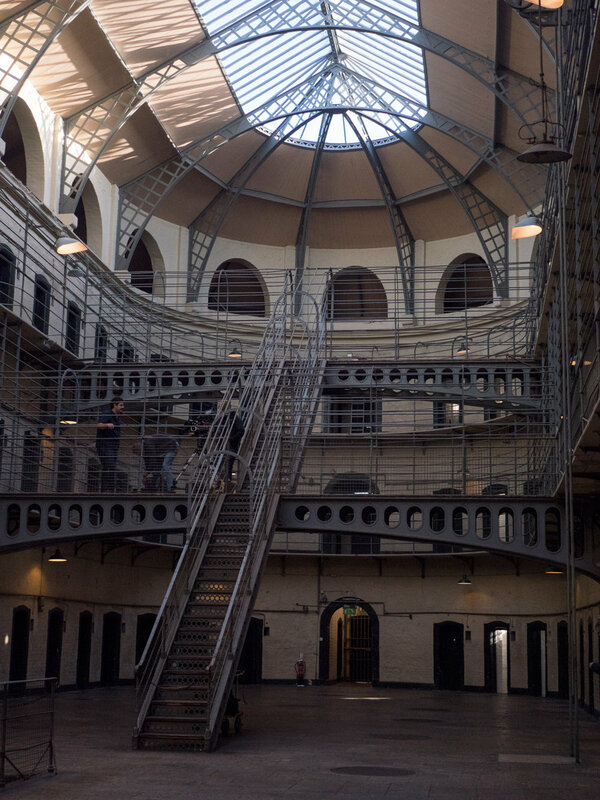 There can be few places, therefore, that more intensely crystallize the forces that shaped modern Irish nationalism than Kilmainham Gaol. I'm not sure why, but Kilmainham was one of the busiest OPW sites we've visited so far. There are tours every 15 minutes, from 9:30 to 16:30, every day - and prebooking is advised. 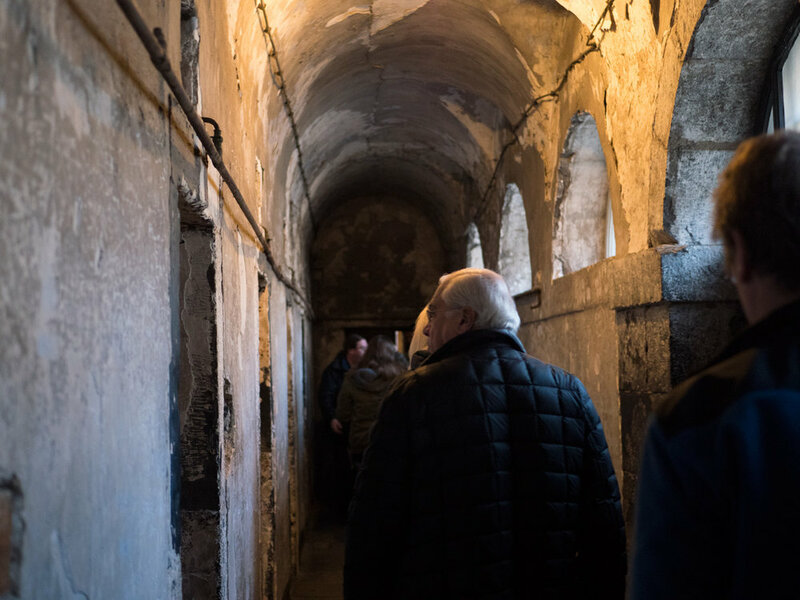 With such a high number of tours going through, each tour guide has their lines timed to what feels like the second, and everyone shuffles from small, dark room, to narrow winding corridor at a very regulated step. The information is coming thick and fast, and in trying to digest it all while taking in your surroundings, the weight of the place didn't hit me immediately. The performance style of the tour guide is a bit over-the-top feeling compared to what we've experienced before, and it suspends my awareness of how these actions he's describing were real, and happened here, with probably the same level of shouting, but with venom and conviction. 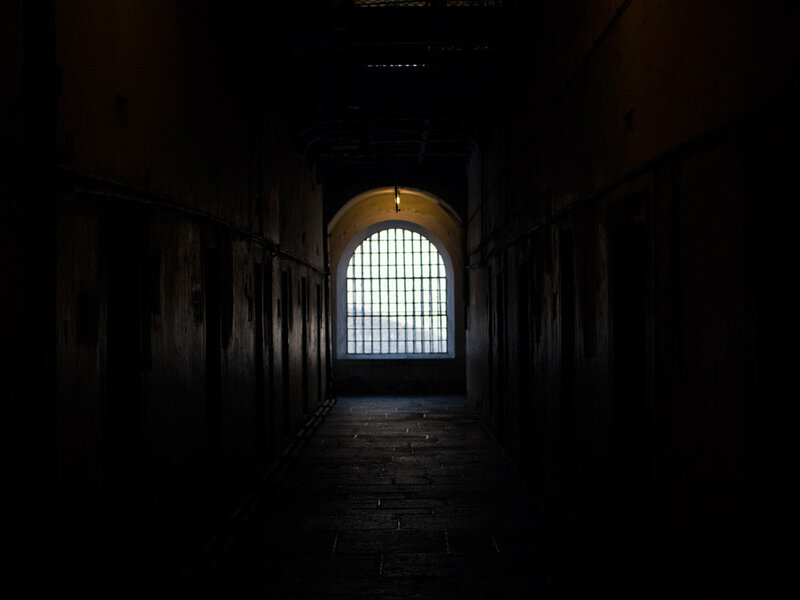 The power of the place only sinks in when we go outside, and stand in the prison yards, where the prisoners would walk single file, silent, around it's perimeter. And then there are the executions that happened there. Standing in the cold, shivering as I look up at the high walls, a feeling of undeniable doom settles over my shoulders, offering no extra warmth. I stare at the small black crosses staked into the ground. They almost blend into the dark shades of the wall behind. Afterwards we go sit in the cafe upstairs; a bright and warm open space, almost empty of customers. We hug our cups and think back over what we just witnessed, wondering how best to share the experience. We brood for a while, but don't really decide on anything. This was quite a different experience than many of our OPW visits: quite often we are the only people on the tour (or at least two of very few), and the guide takes us through the place at a leisurely pace, often adding in their favourite bits - giving a real sense of love for the place. But those are less popular locations, and there's no other tour following on our heals, no real time limit that has to be followed. We can question and appreciate the spaces at our own rate, and then often walk around them by ourselves afterwards, really soaking in our favourite parts. I guess it would be odd to have a favourite part of a gaol.